Pho is a Vietnamese National Dish. A wonderful and aromatic Noodle Soup. 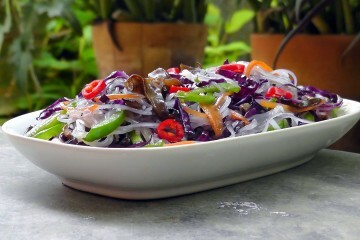 Served with Herbs, Beansprouts and Tofu. The Soup is very healthy and tastes incredible. 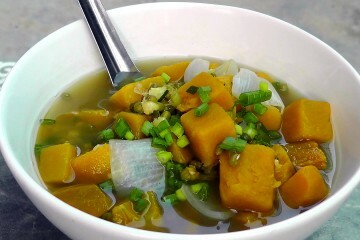 This is a a easy Vietnamese Pumpkin Soup. The Recipe is very simple but delicious and nutritious. This is a very easy Vietnamese Tofu Recipe. 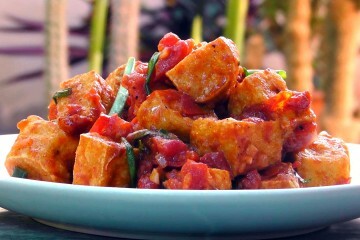 The Tofu comes in a flavorful Tomato-Pepper Sauce and can be eaten with rice.